"Faith, sir," replied the story-teller, "as to that matter, I don't believe one-half of it myself." I've read this before, but I always enjoy it and given my sewing endeavors this year, it's more thematic than usual. Between the eerie whispering trees in the darkened hollow and past the gravestones in the churchyard of the American countryside, you can get a glimspe of a good narrative on how we tell stories and what's to be gained from suspending your own disbelief. Don't neglect the postscript. It's my favorite bit. 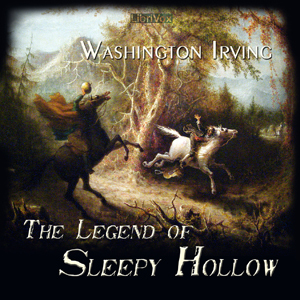 And because "The Legend of Sleepy Hollow" comes to us from long ago, this story is in the public domain. You can read it or listen to it for free on Librivox, and legally so. And now we leave the evils of the woods and enter the darker, locked away evils of the human soul. 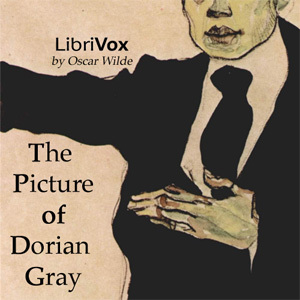 This was my first tour through this story, and indeed any Oscar Wilde so far as I can recall. While I confess that my preferences run towards spectral horses tethered in graveyards, this was certainly a well-told tale. I particularly enjoyed the preface on the nature of art. Given the disposition of the various characters in the story that follows, you have to wonder how Mr. Wilde intended you to take this discussion. If you spend time contemplating the intro and whether you can (and ought to) take these opinions on art and beauty at face value, then I expect the late Mr. Wilde will nod his head in satisfaction, regardless of your conclusions. Again, I point you to Librivox for a fun and free good time. At a recent halloween party, my husband and I found our son quite distressed and sad, slumped in a chair in the corner. Earlier in the evening he had acquired a flashlight and darkened corner of the backyard and wanted to tell scary stories, but none of the other kids wanted to listen. "They didn't even let me finish. They said it was dumb." I watched the ghost of my own eight-year old self crawl out of me in a small black cape and witch's hat lined with orange yarn for hair and slump next to him, unseen, in his chair. She, too, is small for her age. Looking at them both, side by side, I think maybe they have the same chin. The little witch also clutches a turned-off flashlight and a story no one wanted to hear. They both thump their feet against the legs of the chair, as if they don't really care. Or perhaps as if this whole thing is really the chair's fault. It's hard to tell. "Well, here's the thing," I tell them. "It's not about your story. It's that not everybody likes scary stories." This is a bit too far-fetched for both of them. My husband continues. "In fact, some kids might even tell you that its dumb because they don't want to admit that it's too scary for them." He's brightening a little, but I don't think the little witch is buying it. Not yet. "And I'll tell you what," I chime in. "I love scary stories. So when we get home if you want to grab your flashlight, we can turn out the lights in the living room and you can tell me your story because I can't wait to hear it." The boy nods and scoots out the chair. He takes my hand. The little witch follows suit, scooting out of the chair and popping down on the floor. The boy doesn't know it, but she's holding his hand too. As we walk out, he tells me, "Well, the story's not really finished yet." I nod. "That's okay. I want to hear it whenever you want to tell it." 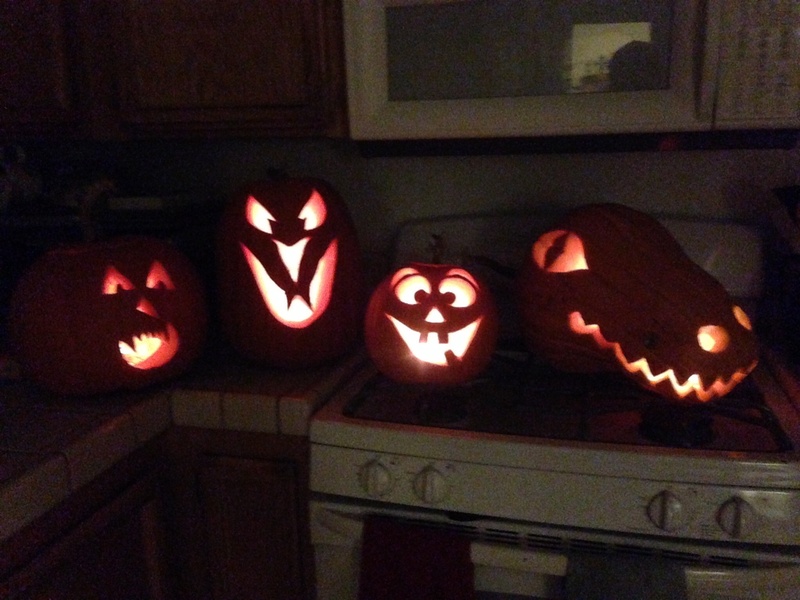 Trick and treat, good friends. If you get a chance and haven't read it, "Snatcher" by Dean Koontz is great. I have it in a compendium of witches stories; it's also in his collection "Strange Highways." I'll hunt it up. Thanks!